Christopher Clements-Card undated photo from GoFundMe page. The 21-year-old London man killed in a shooting outside of an east-end Tim Hortons is being remembered as smart, loving, and respectful. Christopher Clements-Card died in hospital shortly after suffering life threatening injuries in a brazen daytime shooting in the coffee shop’s parking lot at 2094 Dundas St. around 2:30 p.m. Wednesday. Police believe it was a targeted attack by three individuals. “He was a beautiful, loyal, kind, smart, generous, loving, thoughtful, caring, and respectful young man. The list goes on he was so wonderful. He would give his shirt off his back for anybody,” Krystal Panzavecchia wrote on a GoFundMe page. The campaign was launched to raise money to cover the cost of Clements-Card’s funeral. By late Thursday afternoon, nearly $500 toward the $10,000 goal had been donated. Friends of Clements-Card have been expressing their sadness and condolences through the fundraising website and social media. “I will never forget your name will see u in heaven gates when my time is up till than we wait,” one friend wrote on Facebook. “Rest in paradise. My prayers are with the family at this time,” stated another. 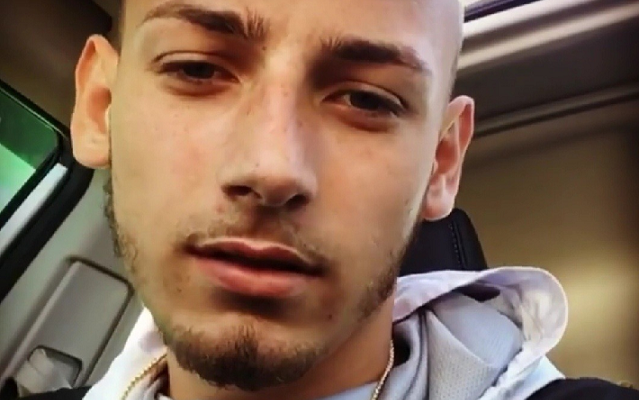 London police continue to search for three men who confronted Clements-Card and another person in the parking lot before the fatal shots were fired. The person who was with Clements-Card was not injured. The suspects then took off in a silver four-door sedan, which police found a short distance away from the scene. The driver of the vehicle is described as Caucasian, approximately 5’9” tall, slim, with reddish-blond or light brown hair that is short on the sides. The second man is described as black with black hair in cornrows. The third man is said to be Caucasian with a dark complexion, short dark hair, and a full beard. This is London’s fifth homicide of 2018. Police are asking anyone with information about the shooting to call them at 519-661-5670 or Crime Stoppers at 1-800-222-TIPS (8477).